Continue what we write in "running graphical cisco network simulator in ubuntu", We would like to introduce one of official cisco network simulation program which frequently used by poeple which would take a Cisco test like CCNA, CCDA, CCNP, CCDP, CCSP, CCVP, and CCNA Security, for those who are familiar with cisco must be known with "Packet Tracer", this application now up to version 5.3 (if i'm not mistake) and available in both Windows and Linux. 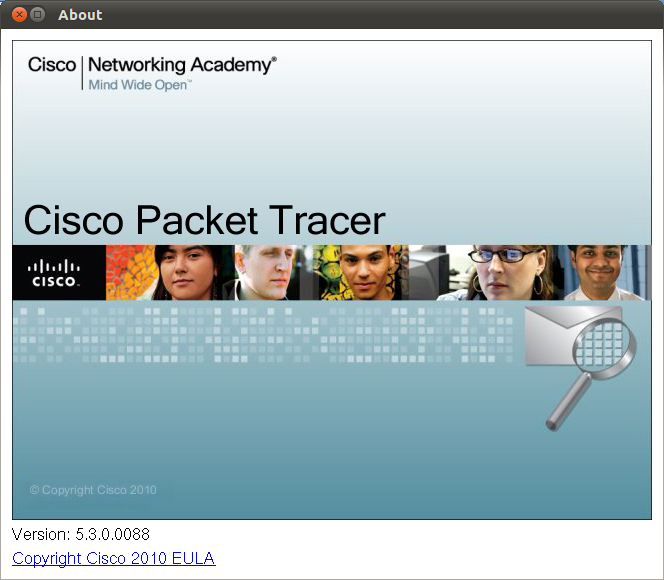 Cisco Packet Tracer is a Official network simulation program by Cisco that allows users to experiment with network behavior. As an integral part of the Networking Academy comprehensive learning experience, Packet Tracer provides simulation, visualization, authoring, assessment, and collaboration capabilities and facilitates the teaching and learning of complex technology concepts. it's time to install, for those who choose .deb installer you can install it by dpkg -i just like before, would be like this. 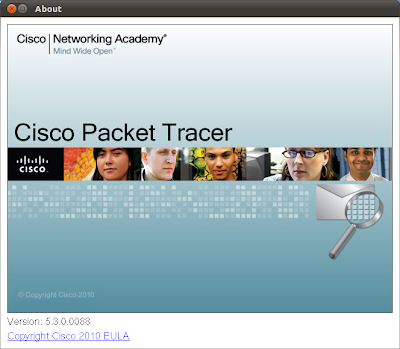 After finished all action above, Cisco Packet Tracer must be in your system now, go to Applications > Internet > Cisco Packet Tracer (usually here) to start running packet tracer in ubuntu.